This is one hell of a show that’s coming to the Mary Graydon Center Tavern at American University. Repulsion, along with Napalm Death and Terrorizer, is one of the founding pillars of grindcore. While they’ve played at Maryland Deathfest a few times over the years this will be their first show in Washington DC ever! Repulsion is also credited with the invention of the blast beat and their 1989 album Horrified is a classic of the genre. While they’ve gone through drummers over the years guitarist Matt Olivo and vocalist/bass player Scott Carlson are still with the band (and both were briefly members of Death back in the 80s). This Michigan based grind band is still destroying ear drums and DC area fans of extreme heavy metal do not want to miss this chance to see them here in a small venue. If all that wasn’t enough to convince you to come out, maybe the incredible line up of local support will! Direct support will be DC/Baltimore’s own Pig Destroyer, the biggest name in grindcore in our region (but you probably already knew that). 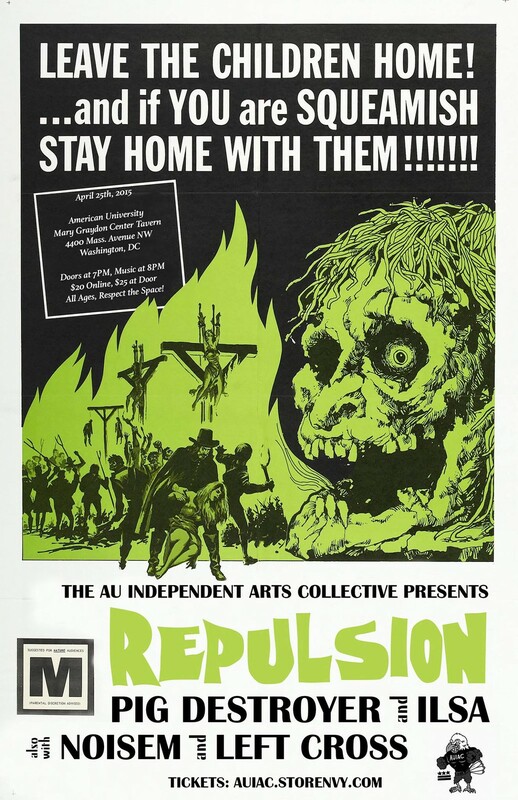 If you missed their wild, sold out show at Hardywood Brewery in Richmond then you gotta see them with Repulsion! 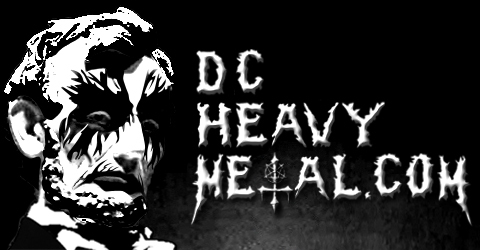 There will also be a set by DC’s masters of crusty death/doom, Ilsa. They’ve got a new album coming out May 5th, titled The Felon’s Claw, but they’ll have CD copies of it for sale early at this show (they won’t have vinyl yet though). There’s also going to be a set by Ilsa’s A389 label mates Noisem, a young, high energy, early 90s death/thrash throwback band that also has a new album coming out soon. The opening act, Left Cross, is one I’m not too familiar with. I know they’re from Richmond but that’s about it, so it should be interesting checking them out. The fun starts when doors open at 7pm and the first band begins at 8pm. This is a dry show so no alcohol will be served nor permitted (don’t worry, there will still be other nights to drink). If you’d like more info you can go to the official Facebook event page here. The American University Independent Arts Collective has really put together a high quality, and very rare, DIY line up for this one, don’t be a sucker and miss it! Now give a listen to these tunes below by bands that will be playing.